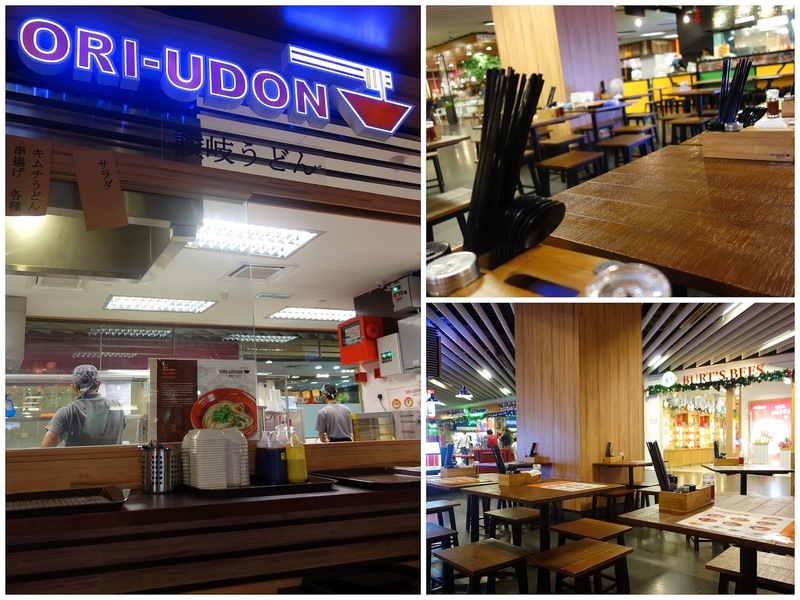 Slurping our way through three udon specialists that opened in KL in recent months, starting with Yuu-jo, a fairly cozy spot on one of Mont Kiara's leafy streets. 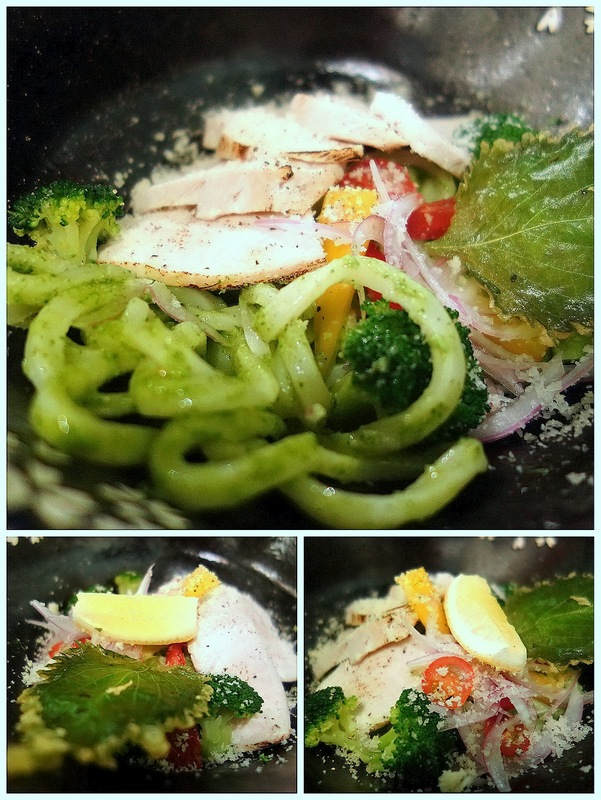 Udon & soba command the mightiest share of Yuu-jo's menu; for something that tastes pretty nutritious, order the cold udon with marinated shiso leaves & spinach, blended with olive oil & crowned with char-grilled chicken (RM17.80 before taxes). ... & familiar-favorite side dishes such as 'nasu dengaku,' miso-glazed eggplant (RM8.80). Other menu highlights: Italian-style udon, beef bolognese or chicken carbonara-style, as well as green tea soba with salmon & raw egg, plus comfort-food rice bowls. 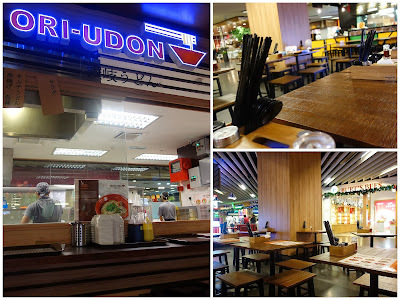 Next up, Ori-Udon, a newbie at The Gardens Mall's lower ground floor, where several casual eateries have launched these past few weeks. If Ori-Udon's selection seems familiar, that might be because its consultant chef appears to be Seiji Fujimoto, the founder of Taman Desa's well-respected Sanuki Udon. Have a bowl of chilled udon coupled with a smidgen of mentaiko & soft-boiled egg (RM8.90), plus side dishes of wakame seaweed (RM1), fried tofu (RM1) & warm, tender beef (RM3, no taxes). A filling, fulfilling sampler, well-executed in Sanuki's signature style. 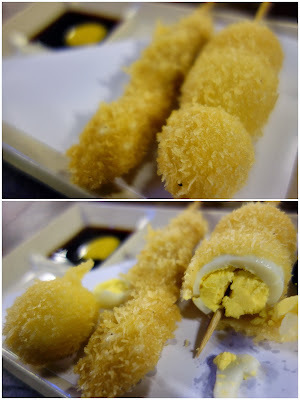 Ori-Udon's compact menu also includes hot, fresh skewers of chicken & quail eggs (RM3 each) that are breaded instead of grilled, for a surprisingly nice change. Plus, there's sake here; we're thankful that Ori-Udon's friendly manager cheerfully serves this even at 10:30 in the morning. It wakes us up better than coffee. 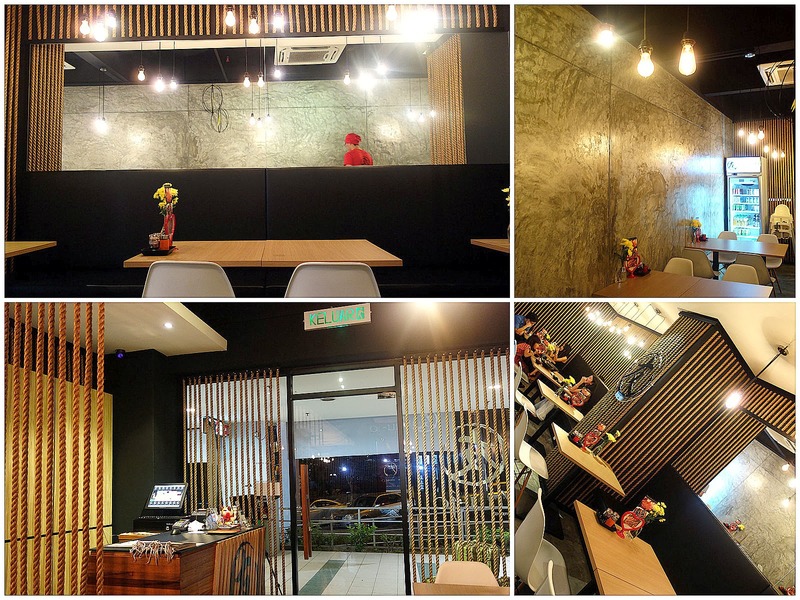 Final stop, only a five-minute walk from Ori-Udon, here's Manmaru at Mid Valley Megamall, a spacious restaurant with a wide-ranging menu that partners udon with the likes of pickled plums, creamy curries & even sweet corn soup. A small portion, pleasantly chewy, with smoked duck in savory gravy costs RM13.90; most other varieties here are cheaper. Side dishes include velvety eggs as well as tempura squid, tempura prawns, tempura chicken, tempura enoki mushrooms, tempura sweet potato, tempura pumpkin, tempura eggplant (the tempura compilation clearly rivals that of the udon). ... & Kuru Kuru Takoyaki, which whips up battered balls, stuffed with cheese or topped with teriyaki mayo, for what would likely be sinfully doughy snacks. B1-B3, Kiara Designer Suites, 18, Jalan Kiara 3, Mont Kiara, Kuala Lumpur. Open lunch & dinner, except Mondays. 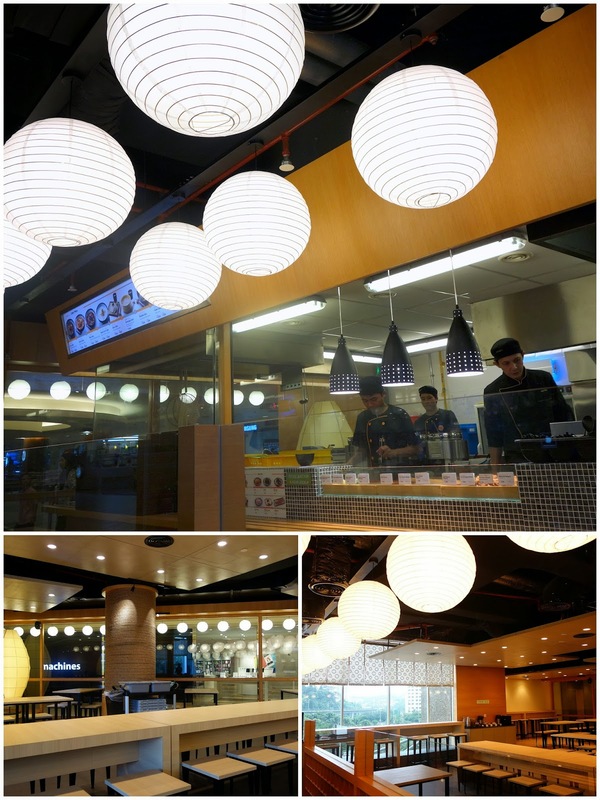 Can be crowded for lunch; it's calmer in the evening. boy the quail egg!! and the eggplant.all look so tempting! !i'll be visiting them!! The fish looks nice, Sean! Ori-Udon prices seem pretty reasonable considering they are now in a mall. I can't wait to go try. everything looks great.. Is Manmaru as reasonable as the Ori-Udon? Wow...more Udons flooding both Gardens Mall & Midvalley. Okay...looks like its in front of Burt's Bee. Hopefully not too crowded during weekends. I think those big fat udon noodles are my favourites.